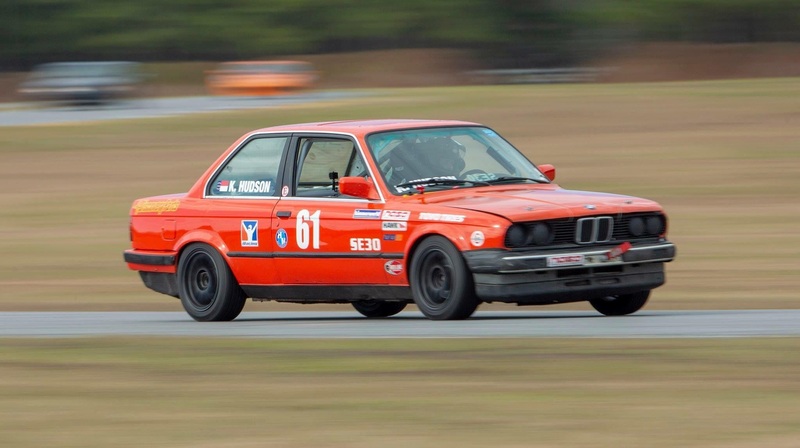 Working My Way Towards Spec E30 - Race License! It's official! I know have my competition racing license! 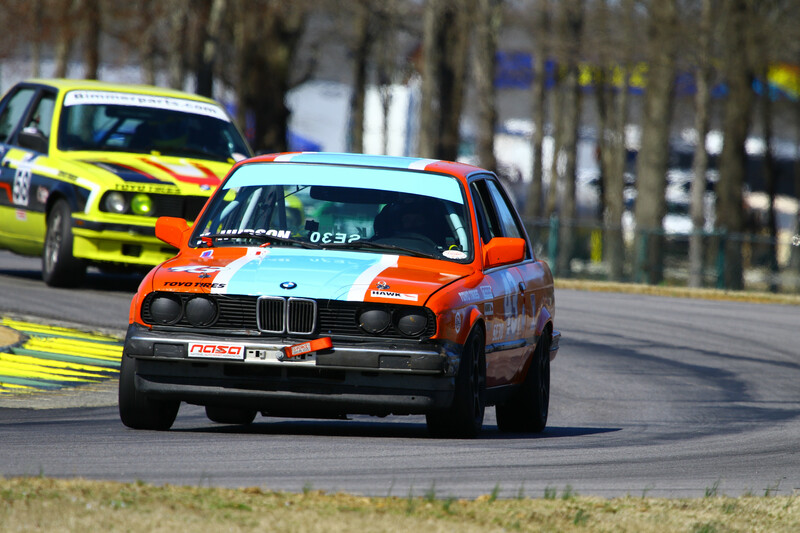 I went to VIR last Friday for competition school with the possibility of racing on Saturday and Sunday if I passed. It took me almost a year of driving with instructors and proving myself in "HPDE" days before I got approved for comp school. Comp school was an absolutely grueling day of classroom and track time. In the classroom we went over race craft and some more advanced passing and driving techniques. On the track we practiced starts, side by side racing, and flag drills. We would do about 40 minute sessions on the track. The day lasted from 7:30 am to 5:30 pm with hardly a break. The day ended with an egress test and a 30 minute written exam. I'm proud to say, I passed! I was so absolutely exhausted, I fell asleep at 8:00 that night. Now I was ready to race! They give you a provisional license until you complete four races incident free. That means no wrecking anyone, and no missing flags like passing under local yellow. So this made my goal clear, no wrecking people and pay attention to flags and I would consider it a successful weekend. Saturday we had a warm up session, qualifying, and a race. I managed to take 9th in qualifying out of 18 cars which I was thrilled with! We had a standing start for the race. I've done enough sim racing to know the perils of T1 so I backed way off and let the madness ensue in front of me while I tried to make it through cleanly. I made up a couple of the places I lost in the first turn before I settled into a battle for 9th with Carter Hunt. The most exciting part of my race starts around 10:41 in the video below. That's when a car got by me into Oak Tree and then we bump drafted down the back straight. I tried to follow him through on Carter but didn't quite make it. At the end of the race I managed to get Carter at the line by .05 seconds! It was an epic race! Unfortunately my in-car camera got loose on it's mount so I didn't get video of the end of the race. Sunday was a less exciting affair. I qualified 10th and finished 11th which involved some caution laps and a lot of open track in front of me. It was an amazing weekend and I'm super pumped to be officially racing wheel to wheel! My sim experience has helped me so much as I've gone through this process. The situational awareness, knowing what to look out for, and just being comfortable in the car are all things I attribute to sim racing. I think the most difficult thing for me so far in the transition to real racing is braking. Sim racing doesn't quite capture the violence of slowing a car down as fast as possible. Also, I'm much more aware of my mortality when I'm trying to wait until the last moment possible to brake! 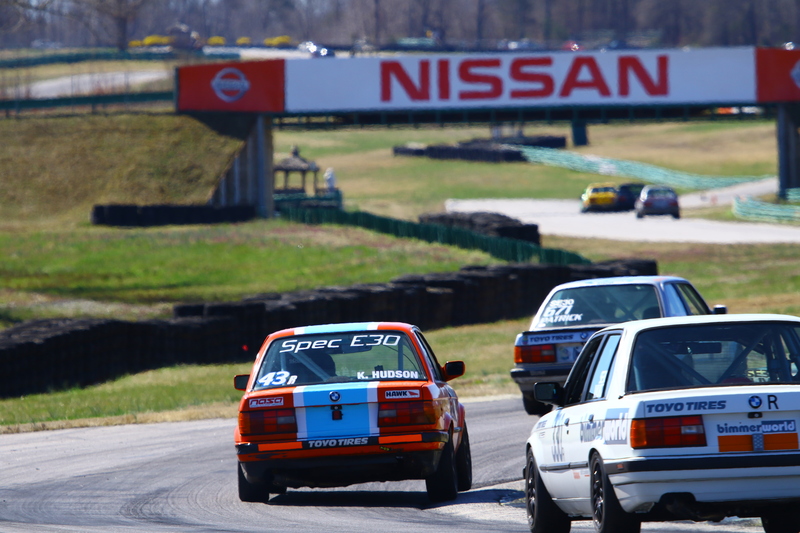 I've got a several more races planned this year including Road Atlanta, Summit Point, Carolina Motorsport Park, and Roebling Road. It's going to be awesome! Champion Motorsports is very excited to announce that we are forming an e-sports team for rFactor 2 which will start by competing in the P1 Gaming Endurance Championship in the GTE class, starting on March 3rd at Suzuka in the 12 hours. An effort that was organized by members of the Champion Motorsports community here on the forums and with close partnership and collaboration with our friends at SimHQ Motorsports. 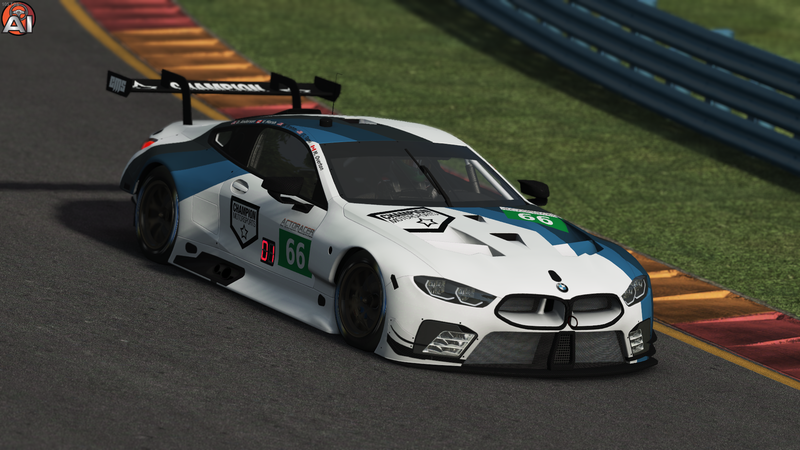 A preview of the livery that we will be running is shared here as the team will compete in the BMW GTE car, with Champion Motorsports being shown proudly. Team Manager: David Anderson: David is the founder of Champion Motorsports and will manage the team and our involvement and entries in the series. David will also be a test driver and backup driver should he be called up on by the team. Matthew Overton: Coming from Canada and also a co-member of SimHQ Motorsports, Matthew is a phenomenal driver. He has raced with the CMS endurance team prior in multiple iRacing Endurance events. He also has quite a bit of experience with the P1 Gaming league and will be a very stable and core part of the team. Vincent Marsh: Another Canadian as well as a newcomer to Champion Motorsports, Vincent brings a lot of energy and enthusiasm to the team. Recently finding Champion Motorsports by way of our new Monday Night Assetto Corsa Competizione league, Vincent saw this opportunity and wanted to get in from the start. Already proving to be a valuable member of the team as we prepare and work on the car setup we are excited to have Vincent. Bill Brehm: Rounding out the team is Bill, one of the most experienced, and longer time members of the simracing community. Bill has been racing with Champion in our rFactor 2 events for quite some time now. His involvement in simracing also dates back to the early GPL leagues that many members of CMS were part of too. Having Bill on the team will bring a lot of wisdom and experience that is so important in these kinds or races! Stay tuned for more information as this is a developing story and we will continue to provide updates on the teams progress at Suzuka and beyond!!! Congratulations to the roster, and let's go have some fun! While I had driven many online events at the Sebring International Raceway, I'd never had the chance to compete in the Modified course. The shorter Modified course may have taken just under 1 minute a lap, but it featured many technical challenges that were going to make it difficult for the drivers at Lionheart. After the points miracle that happened at Indianapolis, I had to finish at minimum in 10th in this race and the season finale at Homestead in order to clinch what would be the first eSports championship of my online racing career. Road courses had been my weak spot all season despite having 2 podiums and a 4th place, so I wanted to make sure that I drove a smart race with as little mistakes as possible to try and overcome this potential vulnerability. Would I be able to make the desired improvement to help my championship cause? Watch and find out! rFactor 2 2018 Championship Winner Trophies Revealed!